What’s Next in Adventure-Based Learning? Dr. Jim Cain is the author of seventeen texts filled with powerful team and community-building activities from around the world, including Teamwork & Teamplay (which won the Karl Rohnke Creativity Award presented by the Association for Experiential Education [AEE]), A Teachable Moment, Teambuilding Puzzles, The Book of Raccoon Circles (now available in Japanese and Chinese), Essential Staff Training Activities, The Big Book of Low Cost Training Games, Find Something To Do, Rope Games, Teamwork & Teamplay Training Cards (now available in a Chinese/English version), The Teamwork & Teamplay International Edition (featuring fifty-one activities translated into sixteen different languages in the same book! ), 100 Activities That Build Unity, Community & Connection, Team Activities That Promote Learning, More Team Activities That Promote Learning and Teambuilding with Index Cards. His train-the-trainer workshops are legendary in the adventure-based learning world and have taken him to all fi fty states and thirty-two countries (so far). He is the innovator of over 100 teambuilding activities used by corporations, colleges, camps, conferences and communities. But mostly, Jim likes to share his unique collection of team challenges, games, puzzles, training techniques and community building activities with audiences of all kinds, all over the world. Jim is also the creative mind behind his active training company Teamwork & Teamplay, which provides staff trainings, facilitation, teambuilding equipment, debriefing tools, curriculum development, reference books, conference workshops, keynote and playnote presentations, and teambuilding consulting services. For more information or to invite Dr. Jim Cain to your next event, visit the Teamwork & Teamplay website at www.teamworkandteamplay.com or contact Jim Cain at (585) 637-0328. 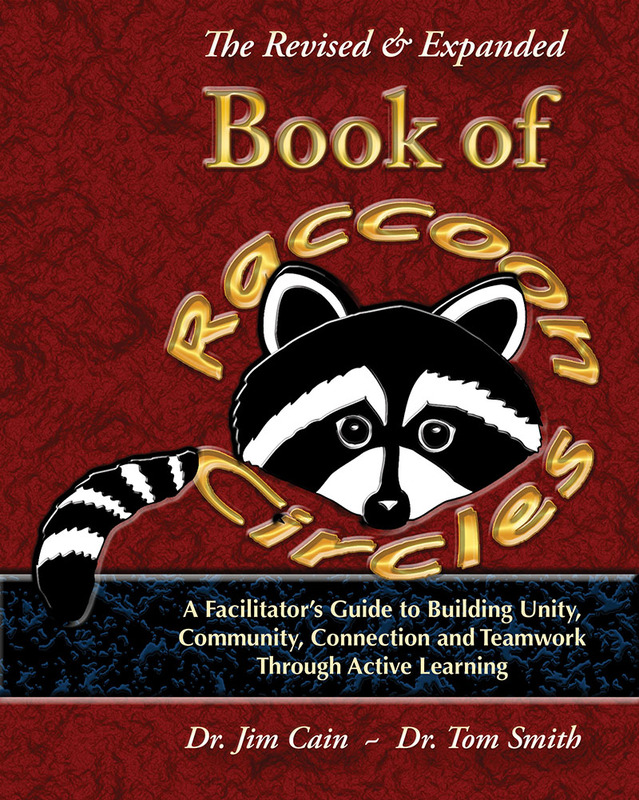 Dr. Tom Smith, who first imagined the Raccoon Circle, is the author of several additional books, including: Exploring the Power of Solo, Silence & Solitude, The Challenge of Native American Traditions, Wilderness Beyond...Wilderness Within, Issues of Challenge Education, Incidents of Challenge Education and 100 Book: Recommended Readings for Experiential Education. He is a lifelong contributor to the adventure education field.